TBH Creative is proud to announce the launch of first web site for Hickory Creek Healthcare Foundation. TBH Creative helped Hickory Creek determine online goals and strategy, create a design that highlighted their special care and various locations, and developed the site to reflect professional and quality. 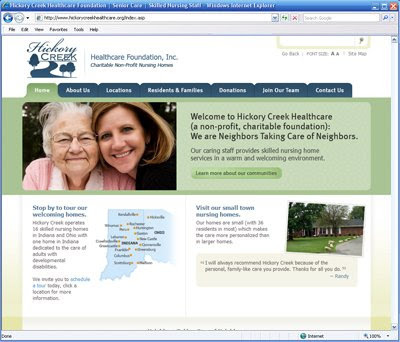 The web site launched today and you can visit it at http://www.hickorycreekhealthcare.org/. 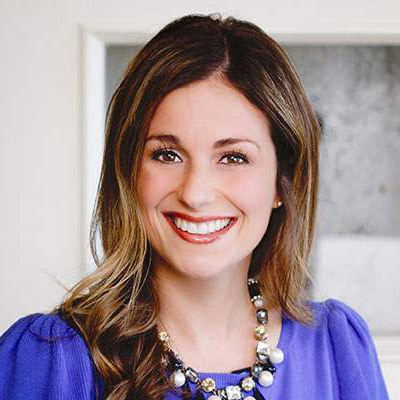 Hickory Creek Healthcare Foundation is a non-profit, community-based organization committed to providing quality and compassionate long-term care and rehabilitation services to all of our residents. They strive to render such care to all residents, regardless of their ability to pay. Their homes are small (with 36 residents in most) which makes the care more personalized than in larger homes. Hickory Creek operates 16 skilled nursing homes in Indiana and Ohio with one home in Indiana dedicated to the care of adults with developmental disabilities. Check out the new site. Looking for a web design company to create a powerful online marketing tool for your organization? Contact TBH Creative to discuss your web project today!